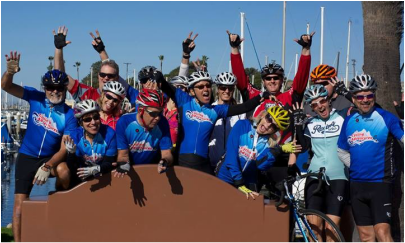 Join Cycling Adventures for a weekend in beautiful Dana Point!! Cyclists will meet at the Solana Beach Train station to drop their weekend gear with our SAG Support and then ride North from Solana Beach to Dana Point (46 miles). Overnight accommodations will be ready once we arrive in Dana Point. There will be time for a shower and quick nap and then the team will regroup for a short walk to the Harbor for dinner & the boat parade. The team will regroup Sunday morning for breakfast and prepare to ride back to Solana Beach. If you choose not to ride back you can catch the train back to Solana Beach. Fee includes coached route to Dana Point, overnight accommodations, Continental Breakfast and a Cycling Adventures Bag or Tshirt.